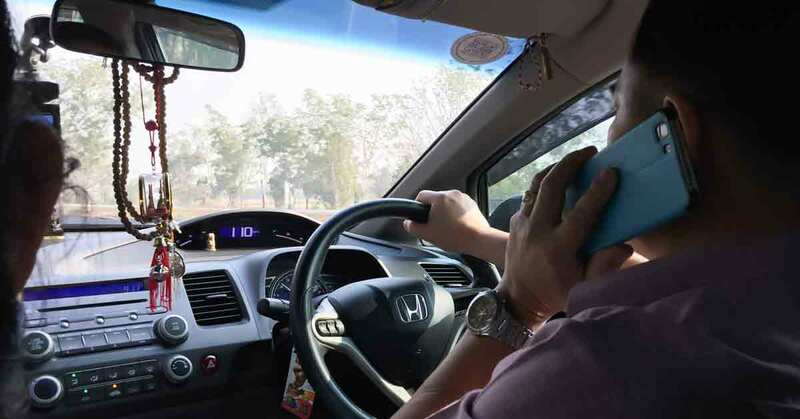 According to the World Health Organisation, the number of accidents caused due to drivers talking on phone while driving has drastically increased. While on road, you are subjected to a plethora of risks which may lead to fatal accidents. One major cause of these accidents could be your negligence while talking on the phone while driving. Hence, Rajasthan High court has stepped up to safeguard riders against this risk by proposing to cancel the driving license of those who are found talking on phone while driving or riding. Reportedly, the Jodhpur Bench of Rajasthan High Court has told the state traffic police to take photographs of such offenders and pass on their details to the regional transport office and cancellation of their driving licenses. This action was initiated after the additional commissioner of police (traffic) was informed that the root cause of road accidents is that a large number of two-wheeler and four-wheeler drivers use their mobile phones while driving. The World Health Organisation has noticed an increase in the number of accidents and deaths caused by accidents and one of their reports states that individuals using their mobile phones while driving are subject to four times more risk of a crash than other drivers. Reportedly in the year 2016 in India, 2,138 deaths were recorded due to use of mobile phones while driving which has alarmed the government to take such major action in the case. However, the court has said that the proceedings of cancellation of driving license will only be initiated after the offender’s hearing. While this is one of the initial steps in this direction, some countries are already a step ahead. A few foreign countries such as Oman, slap a very heavy fine on those caught using a handheld mobile phone while driving. The main reason behind such a heavy penalty is that not only is it dangerous for the passengers of the car, but is also risky for other vehicle drivers on the road. We hope that the government bodies of other states will also recognise the importance of driver and passenger safety and actions like these will generate awareness among negligent drivers all over the country, thereby protecting the lives of many.